Car Rental is an important part of any travel and we know it well. We have many options when it comes to car rental as the needs are different for all. You may opt for a multi travel Car Rental In Jaipur or a round trip or may be a single trip depending on your requirements. We also have Jaipur Taxi Service for local Jaipur Sightseeing which would be available for half or full day as you desire. A Cab service In Jaipur is an easy pick if you know a good tour operator or agency. It is also a necessity to move around in the city with free will as per your timelines. GalaxyTour001 provides its tourist the Jaipur Taxi Service. Cars are available in many categories as per your needs such as luxury, deluxe and budget. You need to decide which category suits you and book accordingly. The cars would also differ according to your choice of category. The cars are in top condition with a chauffeur available for all your needs. You would not feel like you are on travel as sit gives you a homely feeling each time you travel. When you choose a Jaipur tour package with us, the car would be an added feature to help you cover almost everything at Jaipur or any other part of the country.We assure you to enjoy the Best Taxi Service in Jaipur. You can hire Best Self Drive Cars you want and enjoy the drive you want to. We provide you the Best Self Drive Cars that give you freedom to enjoy. The packages of the Taxi service in Jaipur depend on the number of kilometers you travel or the time you rent the car whichever is earlier. Once you have chalked out your road map for Jaipur travel you can book a car with ease. Cabs are like important part of life these days and everyone loves to hire cabs while traveling. We provide affordable Cab Service in Jaipur for all your needs. 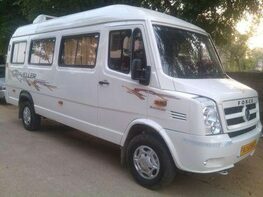 GalaxyTour001 is one of best provider of Car Rental Service In Jaipur that also deal in mini bus on rent in Jaipur and many more. This service useful for the traveler who wants to travel within city or for local car uses within the city limits. Local usage Car Rental Services In Jaipur divided into three types of services: Half Day, Full Day Local and at disposal use. 1. Half Day (4 Hours / 40 Kilometers): This service is good & best offer for Jaipur within city transfer usages that it is also called as 4Hrs / 40kms package. 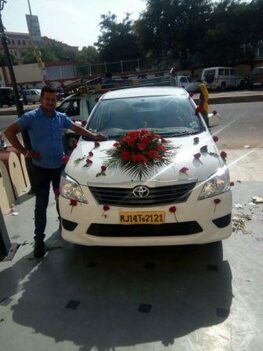 Jaipur Half Day Car Rental Service is available for local transfers like Airport Transfer, Railway Station Transfer, Bus Stand Transfer or other location transfer in Jaipur City. 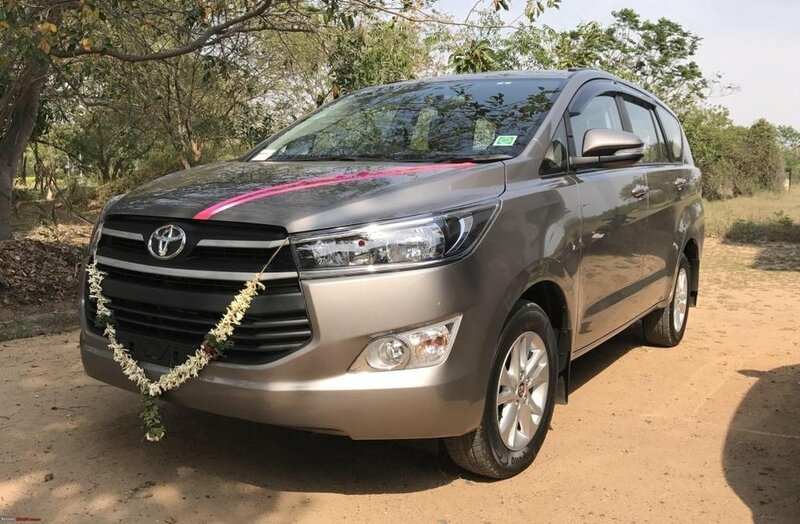 City Transfer services (4 Hours / 40 Kilometres) is useful for the travelers/tourist who wants only pickups and drops facility means transfer from one Jaipur place to another like airport pickups and drops, railway station pickups and drops, bus stand pickups and drops and hotels pickups and drops. We would see to it that our drivers/chauffeurs are at the spot in time. 2. Full Day (8 Hours / 80 Kilometers): This service is good & best offer for Jaipur local city usages that it is also called as 8Hrs / 80 Kilometers package. Full Day service for Car Rental In Jaipur is available for local trips like Jaipur city sightseeing, shopping and corporate uses. 3. Full Day Disposal (12 Hours / 120 Kilometers): This service also good & best offer for Jaipur local city usages that it is also called as 12 Hours / 120 Kilometers package. Full Day Disposal service for Car Rental In Jaipur is available for local trips like Jaipur city sightseeing, shopping and corporate uses. If any traveler/tourist wants to plan for family/group leisure trip outside the Jaipur city limits, we provide a compact tour package with hotel or only Car Rental. We take up group packages from Jaipur to connecting places nearby or as per Guest (your) requirements. We would send cars accommodating the size of the group. Outstation Car Rental Service divided into three type’s services like: Round trip, One Way Trip and Multi city / Tours. 1. Roundtrip: This is the to and fro service means round trip which is useful for those who need to and fro from Jaipur. You can request for a Roundtrip for multiple destinations so we provide some of the routes for to and fro or roundtrip are given here travel destinations from Jaipur. 2. One way transfer: This is for those who need just a one way drop to their destination. You can request for a one way drop for multiple destinations. 3. Multi city travel / Tours: Suppose if you plan for visiting more than one city in a fixed time limit, say for instance you would want to visit Agra from Delhi, from Agra to Jaipur, and then Jaipur to Delhi, avail our Multi city travel service. Midsize Cars: TATA Indigo, Mahindra Verito, Maruti Swift Dzire, Ford Fiesta, Toyota Etios. Mini Coach: 12, 15, 18, 21, 25, 27 seat Ac & non Ac Bus. 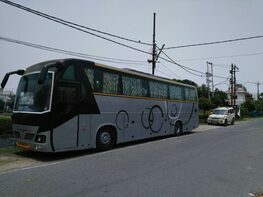 Luxury Coach: 32, 35, 40, 45, 49, 56 seat Ac & non Ac Bus. We have 50+ vehicles. So, we can provide you any vehicle as per your requirement.